I AM LEGION, Alix Perez, Data, Amoss, Naibu and more. 1. a sudden strong feeling of excitement or fear; a thrill. 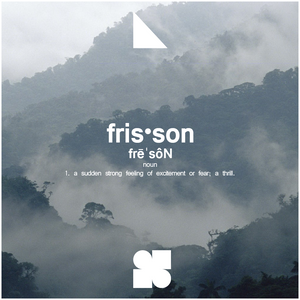 Frisson is a live set that I did on the fly and last minute, requiring a good majority of my drum and bass library to pull off. There is no definitive playlist as some of the tracks I used weren&apos;t named properly so I felt that if there&apos;s a tune that you truly recognize that you&apos;d pick it out for yourself. A lot of blood, sweat and tears went into this, I never thought I&apos;d have the opportunity to play for almost three hours straight. During that entire time I had goosebumps, it was the craziest feeling in the world. For all those who were there and are here listening, I know you&apos;ll enjoy a high quality version of the entire set. For those who have just arrived and have never heard before, I hope you enjoy the most down to earth drum and bass on the planet.